For several weeks now, there have been reports of heavy fighting between government forces and rebels in Ethiopia’s Ogaden region, home to a majority population of ethnic Somalis. Government officials have denied most such reports as fabrications, while asserting in other cases that government troops were not involved in the clashes. The fighting would be the latest episode of political violence since Abyssinian troops occupied the region in the late 19th century. Ogaden residents complain of a lack of development initiatives in the region and oppose the rule of Prime Minister Meles Zenawi, leader of the Tigray People’s Liberation Front (TPLF), the leading element in Ethiopia’s coalition government (known as the Ethiopian People’s Revolutionary Democratic Front – EPRDF). A number of Chinese, Malayasian and Indian corporations have concluded deals with Addis Ababa to exploit the region’s oil and mineral reserves without the input of local communities. On March 19, Ethiopia claimed that both the Ogaden National Liberation Front (ONLF) and the allied Oromo Liberation Front (OLF) had been completely destroyed as they attempted to regroup in the southeast of the country. Security forces claimed to have killed Dr. Muhammad Serri, who led a devastating ONLF attack on a Chinese oil installation at Obala in the northern Ogaden region in April 2007 (Sudan Tribune, March 16). 65 Ethiopian soldiers and nine Chinese oil workers were killed in the Obala attack. Government spokesmen also claimed to have captured a major OLF military leader in the offensive. Despite these assertions of government success, other sources claim government conscript militias drawn from non-Tigrean communities have mutinied after suffering heavy losses. The mutineers claim they were misled about ONLF capabilities. 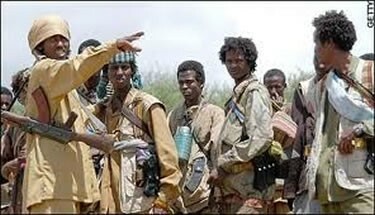 Reports say 486 mutineers have been arrested and detained in Qabri Dahar (Ogaden Online News, March 11; March 23). Rebel sources also claim to have killed Colonel Manos and “Wadna Qabad,” both prominent government militia leaders, in a battle six kilometers outside the garrison town of Wardheer (Ogaden Online News, March 20). Many of the government troops involved in the fighting were recently redeployed to the Ogaden region after withdrawing in January from a two-year deployment in Somalia. Earlier this month, the ONLF claimed to have captured the town of Mustahil (near the Somali border) in a battle involving heavy weapons, though a government spokesman said the claim was “absolutely false” and rebel forces were on the run (Shabelle Media Networks, March 8; Garowe Online, March 8; BBC, March 9). ONLF sources said their fighters were well trained and equipped with modern arms, enabling them to kill at least 100 government soldiers and capture another 50 in the fighting for Mustahil (Somaliweyn, March 10). Commercial and private vehicles were reported stuck at the border as Ethiopian troops closed roads while they conducted counter-insurgency operations in the area (Garowe Online, March 9). In a military communiqué, the ONLF reported its “Dufaan” (“Storm”) commando unit was involved in heavy fighting around Degah Bur in northern Ogaden and had captured a quantity of arms and ammunition from the government garrison (Mareeg Online, March 7). The Dufaan unit is best known for leading the 2007 attack on the Chinese oil facilities at Obala. The Ethiopian government denied its forces were involved in the fighting around Degah Bur, insisting the clashes were between locally-raised pro-government militias and “local terrorists” (AFP, March 7). A government official later said the rebel statements were issued because the ONLF was “embarrassed with the fact that the ongoing peace, development and democratization efforts in the state are becoming effective” (Walta Information Center [Addis Ababa], March 16). Ethiopia refers to both the ONLF and OLF as “terrorists,” though neither group appears on the U.S. or EU list of designated terrorist groups. 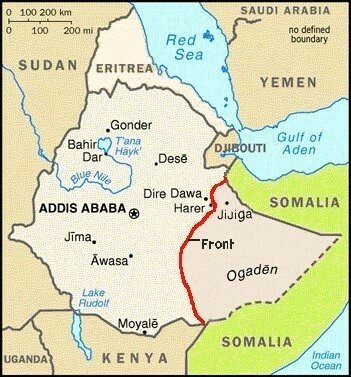 The rebel movements claim Ethiopia is a colonial regime that has done little to develop outlying regions such as Ogaden. The Free Lions Movement of Eastern Sudan is reporting airstrikes on arms smugglers along the Egyptian-Sudanese border by French and American warplanes (Al-Mustaqillah, March 23). According to Dr. Mabruk Mubarak Salim, head of the Free Lions Movement and former Secretary-General of the rebel Eastern Front (a coalition of the Beja Congress, the Free Lions and Darfur’s Justice and Equality Movement), the aircraft were acting on intelligence indicating arms smugglers in the area were shipping arms to Gaza. Both the smugglers and several fishing boats are alleged to have been hit in the airstrikes. To date, there has been no confirmation of the report from the remote and sparsely populated region. French and American aircraft operate from a nearby airbase in the former French colony of Djibouti. The Free Lions Movement is based on the Arab Rashaida tribe, a nomadic group that moved into the region from the Arabian Peninsula in search of open pastures in the late 19th century. Though traditionally aloof from Sudanese politics, in recent years the Rashaida joined the indigenous Beja tribes of eastern Sudan in rebellion against the central government in Khartoum. The movement operated from bases in Eritrea, which has also become home to members of the Rashaida. An Eritrean-mediated agreement ended the rebellion in 2006. 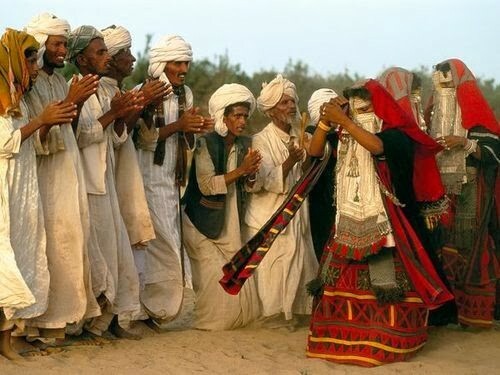 The Rashaida have a reputation for smuggling activities in the remote areas of the Red Sea coast. A recent report co-written by Yoram Cohen, the former deputy head of Israel’s Shin Bet intelligence agency, and American Matthew Levitt, described an unlikely movement of Iranian arms to Gaza, allegedly supplied by Iran’s Revolutionary Guards: “The arms travel overland to Egypt through a variety of routes that cross Yemen, Eritrea, Ethiopia, and South Africa and eventually meet in Sudan, where they are moved to Egypt’s Sinai desert. After the material enters the Sinai, it is transferred into Gaza via tunnels underneath the Philadelphi Corridor” (Jerusalem Post, March 3). The report was issued only days before the alleged airstrikes. The Egyptian-Sudanese border occasionally makes the news when a long-standing dispute over control of the Hala’ib region flares up. To prevent the region’s Arab tribes from being divided by an artificial border, the 1899 Sudan Condominium agreement allowed for Sudanese administration of Hala’ib, a largely barren and roughly triangular area of 25,000 square kilometers lying north of the border. Sovereignty would remain with Egypt. Since both Egypt and the British-Egyptian Sudan Condominium were both under the effective control of London, the decision provoked little controversy. This would change in 1956, when British-Egyptian rule in Sudan came to an end and a newly independent Sudan began treating Hala’ib as its own territory. Oil was discovered in the region in non-commercial quantities in 1978. Sudan continued to encourage exploration of the region until Egypt occupied the area in 1992 (Middle East Quarterly, March 1994). 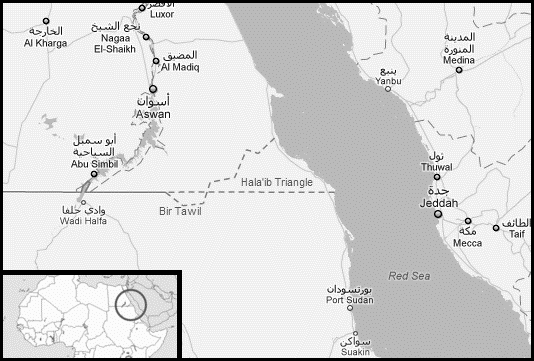 Among the Eastern Front’s demands was the restoration of Hala’ib to Sudanese control. Control of the region tends to become a flashpoint during periods of strained relations between the two nations, but there seems to be a mutual recognition that Hala’ib is not worth fighting over. The bombing of a famous Peshawar shrine dedicated to a local Sufi saint is the latest episode of what appears to be an effort to define a new ethnic and religious identity in the northwest frontier region of Pakistan. The March 5 attack on the mausoleum of Rahman Baba, the most famous poet of the Pashto language and a major figure in the Pashtun cultural heritage, caused severe damage after explosives were lodged against the shrine’s pillars (The Nation [Islamabad], March 10). The bombing occurred the same day as a rocket attack on the shrine of Bahadur Baba in the Nowshera District of the NWFP, 40 km north of Peshawar (Daily Times [Lahore], March 10). Militants had warned the custodians of both shrines against the Sufi tradition of praying to the dead saints, a practice viewed as heresy by the Salafists, whose Saudi-influenced concept of monotheism excludes any intercession with God by revered Islamic figures, including the Prophet Muhammad. The attack on the Rahman Baba mausoleum is believed to be the work of the Lashkar-i-Islam, a Salafist militant group responsible for previous attacks on Sufi shrines, including the March 4, 2008, rocket attack on the 400-year-old Abu Saeed Baba shrine in the Khyber Agency that killed ten people. Rahman Baba was an 18th century poet whose work espoused the virtues of love and tolerance. His shrine has been a center for devotional Sufi music and singing by the Pashtun communities of Afghanistan and Pakistan since his death. Ten years ago, the Arab and Pashtun students of a new Saudi-funded Wahhabi madrassa down the road from the shrine began taking it upon themselves to prohibit traditional Sufi activities at the shrine as “un-Islamic.” Frequent assaults on visitors to the shrine have caused a significant drop in visits. The leader of the nearby Haqqania madrassa outlined his objections to Sufi attendance at the Rahman Baba shrine: “We don’t like tomb worship. We do not pray to dead men, even the saints. We believe there is no power but God. I invite people who come here to return to the true path of the Qur’an. Do not pray to a corpse: Rahman Baba is dead. 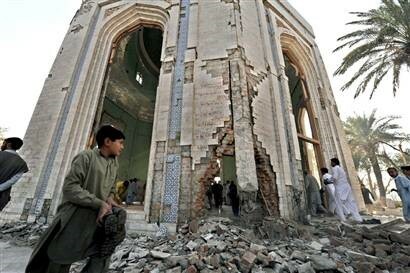 Go to the mosque, not to a grave” (Pakistan Observer, March 8). The local Salafists appear to have been particularly enraged by the tradition of female Sufis singing at the shrine and attempted to impose a ban on all visits by women (The Hindu, March 9). There have been other attacks on Muslim shrines in the Peshawar area in the last two years, including the December 2007 bombing of the shrine of Abdul Shakur Malang Baba and the attempted destruction of the shrine of Ashaab Baba just outside Peshawar in 2008 (Daily Times, March 10). Sufi shrines attended by both Sunnis and Shiites have in the past been special targets of those seeking to promote sectarian strife in Pakistan. A bombing at the shrine of Pir Rakhel Shah in March 2005 killed at least 50 people on pilgrimage; two months later a suicide bombing at the Bari Imam shrine outside Islamabad killed 25 and wounded over 200 (Himalayan Times, March 20, 2005; AFP, May 29, 2005). The Salafist campaign of tomb destruction has brought the Taliban and other Salafi Islamist groups into conflict with the descendants of Sufi saints who wield considerable political power in Pakistan (The Nation, March 10). Large protests followed the most recent attacks, which had cross-border repercussions in Afghanistan and India. President Asif Ali Zardari has announced the federal government will assume responsibility for rebuilding the shrine of Rahman Baba, while the Kakakhel tribe has said it will undertake the reconstruction of the Bahadur Baba shrine (The News [Islamabad], March 7; March 10). The practice of destroying the tombs of Sufi saints has also been adopted by the radical Islamist al-Shabaab movement in Somalia, costing them considerable support in that traditionally Sufi nation. A coalition of militant Salafi-Jihadi groups in Sudan has threatened to carry out 250 “martyrdom operations” in the United States, France and the UK in response to the issue of a warrant by the International Criminal Court for the arrest of Sudanese President Omar al-Bashir on charges of war-crimes (Akhir Lazha [Khartoum], March 10). The strikes would target “world imperialists and CIA agents” in the three countries in what was described as “another September 11 attack” (Sudan Tribune, March 11). The statement was also carried by a number of jihadist websites. The coalition, calling itself the Coalition of Jihad and Martyrdom Movements, also called for the assassination of ICC prosecutor Luis Moreno-Ocampo and Khalil Ibrahim, the Zaghawa leader of Darfur’s rebel Justice and Equality Movement (JEM). Khalil Ibrahim’s movement staged a spectacular but unsuccessful attempt to overthrow the Bashir regime last May by sending a convoy of JEM fighters by truck all the way from the Chad border to the suburbs of Omdurman. 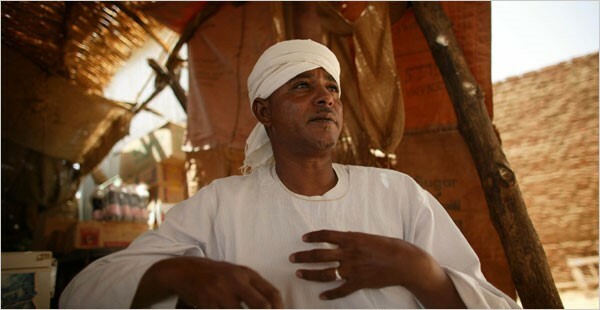 The statement described Ibrahim and the Paris-based Abd-al-Wahid Muhammad al-Nur (the Fur leader of a faction of the rebel Sudan Liberation Army/Movement – SLA/M) as “Zionist agents,” an accusation commonly made by the Khartoum regime as a consequence of the leading role played by Jewish organizations in Darfur activism. The coalition announced the formation of joint brigades under a unified command to carry out jihad and rid Darfur of colonialist “filth.” The coalition also declared its intention to coordinate with other global jihadist movements. The new threats follow a February 21 warning from Sudanese intelligence chief Salah Abdallah Gosh (who has worked closely with the CIA on counterterrorism issues despite being labeled as one of the architects of the Darfur crisis) of the consequences of an ICC warrant for al-Bashir: “We were once fanatical Islamists, but we have become moderates and now believe in coexistence and peace. However, we will never break apart and have no choice but to revert to our fanaticism in order to manage our battle with the ICC” (Al-Sahafah [Khartoum], February 21). The statement was issued on March 9 by a group of mostly unknown Salafi-Jihadi militant groups, all apparently based in Sudan. Most notable of these was the Liwa’a Isud Darfur (Darfur Lions Brigade), which, according to the statement, is led by Shaykh Musa Hilal, the most prominent and powerful of the Janjaweed leaders in Darfur. Musa Hilal’s involvement in the terrorist threat is interesting, as he remains an official of the Sudanese government, serving as Adviser to the Ministry of the Federal Government since January 2008. 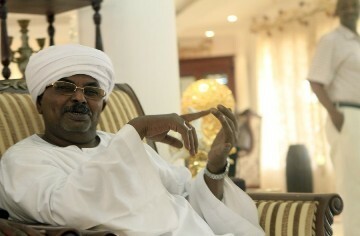 The statement was carried in Sudan by Akhir Lazha, an Arabic-language daily thought to have close connections to Sudanese intelligence and the ruling National Congress Party led by Omar al-Bashir. In late February, Musa Hilal promised to mobilize 30,000 of Darfur’s “finest mujhahideen” to ensure anyone who supported the ICC would “pay the price” (Al-Intibaha [Khartoum], February 27). JEM has accused Musa Hilal’s men of responsibility for the March 11 kidnapping of three Darfur-based members of relief organization Médecins Sans Frontières (AFP, March 13). The other groups signing the statement are extremely obscure. They include; Jama’at al-Shahid Abu Qusaysah, Jama’at Ansar Allah al-Jihadiya al-Salafiya, Jama’at al-Bahisin al-Shihada and Jama’at Liwa’a al-Shahid Ali Abd al-Fatah. Four soldiers belonging to United Nations/African Union Mission in Darfur (UNAMID) were wounded by gunfire from an unknown source in Western Darfur the same day the statement was issued (AFP, March 10). Neither Sudan nor the United States has ratified the treaty establishing the powers of the ICC. Fierce fighting broke out last week in the oil-rich region in and around Malakal, the capital of Sudan’s Upper Nile State, after a government-sponsored militia leader made an unexpected return to the city, where he is wanted by local authorities for his role in a violent episode in 2006 that left 150 people dead. Major General Gabriel Tanginya (a.k.a. Gabriel Gatwech Chan) led a pro-government militia in the 1983-2005 North-South Civil War. 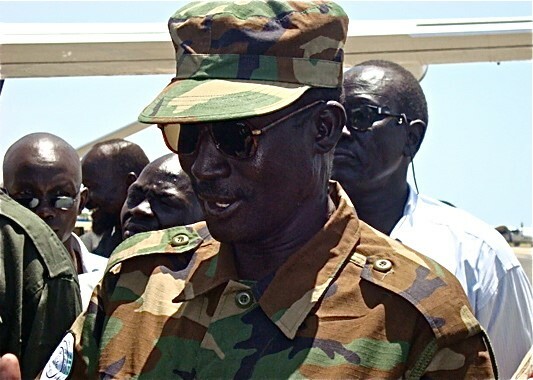 Following the 2005 Comprehensive Peace Agreement (CPA), Tanginya and his forces were integrated into the Sudan Armed Forces (SAF), with the militia leader being rewarded with the inflated rank of Major General. Bloody clashes with the Sudanese Peoples Liberation Army (SPLA) in 2006 led to the withdrawal of Tanginya and his militia to Khartoum, where they have remained since. His surprise return to Malakal on February 23 was seen by some southern politicians as a provocation designed to reignite the civil war (AFP, February 27; Sudan Tribune, February 26). The Government of South Sudan (GoSS) claims Tanginya was met in Malakal by members of the SAF’s military intelligence. Peacekeepers belonging to the United Nations Mission in Sudan (UNMIS) asked Tanginya to leave shortly after his return to Malakal, but the militia leader refused. Fighting erupted after the SPLA tried to arrest Tanginya on an outstanding warrant issued by the GoSS. Sudanese Armed Forces (SAF) units belonging to the Joint Integrated Units (JIU) formed from SPLA and government forces after the 2005 peace treaty joined in the defense of Tanginya against their former JIU comrades. Troops of the SPLA’s 7th Division under the command of Major General Majier Amel pounded the SAF units and Tanginya’s militia with artillery and tank-fire, driving these forces towards the Malakal airport (New Sudan Vision, February 25). Fighting also spread to the Faluj oil field north of Malakal, where the GoSS reported clashes between Khartoum’s “petroleum police” and villagers in a number of places inside the oil-producing zones. The fighting came to an end with the dispatch from Khartoum of a delegation led by Government of South Sudan (GoSS) Vice President Dr. Riek Machar, a controversial figure who led his own Nuer-based pro-government militia against the SPLA during the Civil War. Machar ordered Tanginya to return to Khartoum and UN officials urged the JIU to “demonstrate tolerance and uphold their professional obligations” (Sudan Tribune, February 27). The death toll in Malakal included 26 civilians, 15 soldiers of the SPLA, and 16 soldiers of the SAF. 84 soldiers and civilians were wounded (Sudan Tribune, February 27). Malakal was the scene of tribal violence earlier this year when a dispute between the Chollo Shilluk and the Ngok Dinka over who should enter a local stadium first for a celebration of the fourth anniversary of the CPA turned violent. Nine people were killed and 90 injured by the fighting and police gunfire. Shortly thereafter as many as 12 people in the nearby village of Nagdiar were killed in an attack and two other villages burned to the ground (Miraya FM [Juba], January 25). Malakal lies in land traditionally claimed by the Chollo Shilluk. The Ngok Dinka arrived in the area in 1818, leading to disputes over land ownership (Khartoum Monitor, January 16). The Dinka are the most powerful tribe in the SPLA. The arrival of General Tanginya in Malakal may have been an attempt to exploit this dispute to create further divisions between the Shilluk and the Dinka in the lead-up to the 2011 referendum on Southern independence. The fighting also demonstrated the fragility of the JIU, which broke into North-South factions as soon as the fighting began. Though it has always been difficult to find anyone with much confidence in the joint infantry units, there was still some hope they might provide a template for a combined national army if the South votes for unity with the north in the upcoming referendum. In 2006 SPLA forces in Malakal clashed with Tanginya’s second-in-command, Mabor Dhol, after the latter refused orders to leave Malakal. 150 people were killed in the consequent fighting and a warrant was issued for Tanginya’s arrest. GoSS Minister of Information Gabriel Changson Chang said, “We must stress that any attempt to evacuate or protect Tanginya and his accomplices will constitute a crime of harboring and aiding criminals” (Sudan Tribune, February 26). In response, Riek Machar described the arrest procedure as “a complicated matter:” “There is nobody that would arrest a Major General in the Sudan Armed Forces, except the command of the SAF, which I don’t belong to” (Sudan Tribune, March 1). On February 7, Egyptian Islamist and al-Qaeda supporter Dr. Hani al-Siba’i gave an interview on Al-Ansar Pal Talk in which he evaluated the present state of the global jihad, including observations on the situations in Somalia, Gaza, and the Arabian Peninsula. The four-and-a-half-hour interview was open to forum members who communicated with al-Siba’i through a moderator. Al-Siba’i is on both the UN and U.S. lists of designated supporters of terrorism for his association with al-Qaeda and other extremist groups. 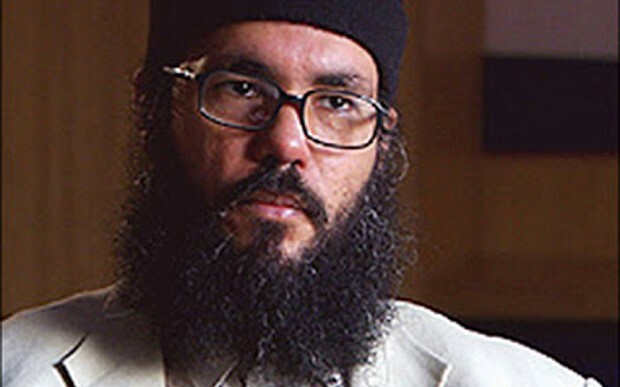 An Egyptian national, al-Siba’i lives in London, where he has claimed political refugee status (he describes himself as “a prisoner in a Western country”). Formerly a leading member of Egypt’s Islamic Jihad (IJ) organization, al-Siba’i was sentenced to 15 years imprisonment after being tried in absentia in Egypt. In London he is the founder and director of the Almaqreze Center for Historical Studies. Al-Siba’i condemns the emergence of new armed Islamist groups in Somalia (such as Dr. Omar Iman Abubakr’s Islamic Party coalition) as unnecessary and the product of Eritrea’s intelligence services, warning that “this new Islamic Party, if it persists on continuing in its dealings, the Mujahideen Youth Movement [al-Shabaab] will be forced to fight it.” He describes America’s concern with Islamism in Somalia as being based on the country’s proximity to the Middle East (“unlike Afghanistan”). The unification of al-Qaeda forces in the Arabian Peninsula under escaped Yemeni terrorist Nasir al-Wuhayshi is described as a great blow to the Saudi regime that will help “keep the idea of expelling the Crusaders from the Arabian Peninsula and the rest of the Muslim world alive.” The union will “cause the Americans to re-evaluate their positions once again after believing that they were successful in expelling, weakening, and breaking [al-Qaeda].” Al-Siba’i warns that Saudi Arabian and Yemeni intelligence services will collaborate to bribe various tribes and recruit young people to infiltrate al-Qaeda in the Arabian Peninsula. Turning to Hamas, al-Siba’i describes the movement as “useless,” condemning it as an affiliate of the Muslim Brothers composed of “mercenaries and traitors.” He ridicules anyone who suggests the Israeli assault on Gaza was a victory for Hamas; “Hamas is in a phase of bankruptcy and what happened was not a victory.” Al-Siba’i describes the evolution of Hamas into a political party as “theological perversion” counter to Islam.